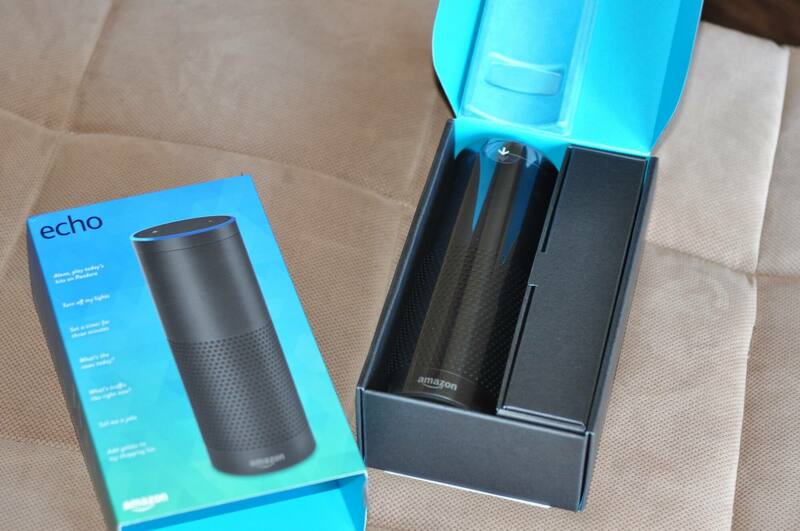 I took the Amazon Echo and Alexa voice service out for a spin to see if they live up to the hype. This year's Super Bowl ad featuring the Amazon Echo and Alec Baldwin left many viewers, myself included, itching to get their hands on one — which is exactly what I did. My family and I spent a full week playing with the world's most famous virtual assistant. Here's how it went. download the Alexa app (I opted for the iOS version on my iPhone), and follow the super easy, step-by-step directions. All you need to get going is an Amazon account, access to Wi-Fi and five minutes to spare. The only thing that surprised me here was that the Echo needs to be plugged into a power source at all times in order to work since it doesn't have a battery. Is it a deal breaker? Not really, but it does require rebooting if you want to take it into another area of the house. On the upside, it was nice that we didn't have to wait several hours for it to charge before using. Similarly, low-battery life is a non-issue. Amazon includes a quick but informative video tutorial within the app that helped us get acquainted with how the whole thing works. Again, I give Amazon points here for being extremely user-friendly. For example, they include a rundown of handy features, popular things to try, and the answers to all the basic FAQs. 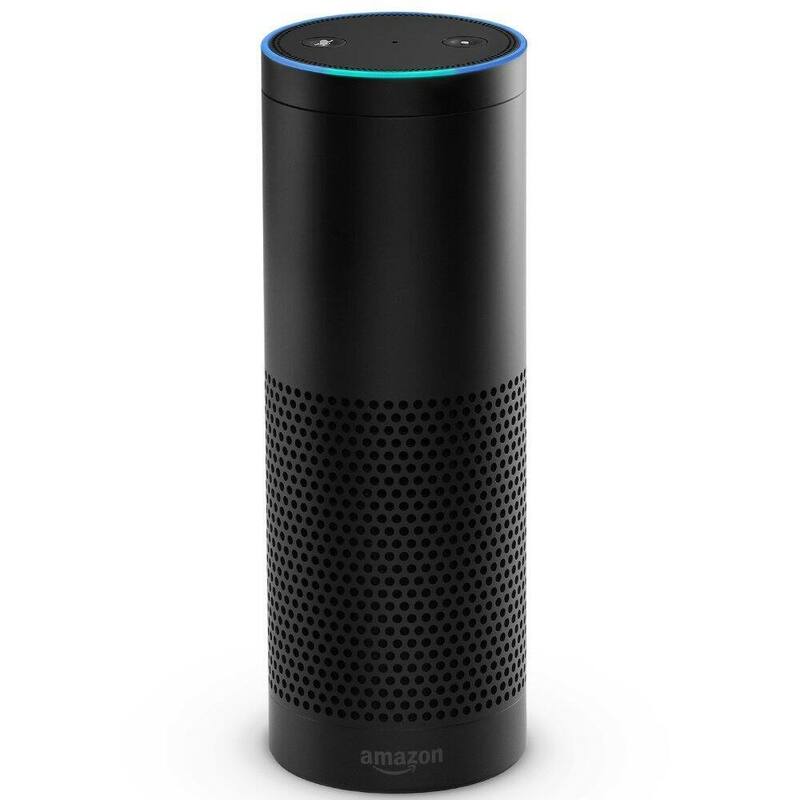 As Alec Baldwin demonstrated, the Echo's "wake word" is Alexa. Upon saying this, a blue ring lights up the top of the device to indicate that she's "awake" and listening. FYI: You can change the wake word to "Amazon" or "Echo" if you prefer. "Alexa, how's my commute looking?" One of the first things that impressed my husband was the speaker quality. For such a tiny device — about half the size of a loaf of bread — it packs a big punch in the sound department. You can control the volume with your voice, instructing Alexa to get louder or quieter on demand. When it came time to play music (more on that in a bit), the sound quality didn't disappoint. While the voice command is an obvious selling point and does the bulk of the heavy lifting, the app also comes in handy. There you'll find controls for everything Alexa can do, along with your shopping list and to-do list. (When I told Alexa to add eggs to my shopping list, it showed up in the app a second later.) The app is valuable for a few reasons, like helping you clarify the odd request that Alexa is struggling to understand. For example, I kept asking Alexa to play a podcast I like, but she just couldn't figure out what I was asking for. After a few times, I gave up and just typed it into the app, which found it easily. From there, I played it on the app, which slung it over to the Echo. This experience begs a big question: How good is Alexa at interpreting your requests? Overall, I give her a solid 7 out of 10. For the most part, she understood what we threw at her just fine, especially when spoken in a slow, clear voice. The tricky part, of course, is when you have two young children running around, the TV on and the dog barking. In a typical household setting, Alexa couldn't always make sense of what we were asking. A small thumbs down, but it wasn't enough to really frustrate me. If you invest in an Amazon Echo and you've also got a Prime account, you'll be able to play anything from the Prime Music library. This, hands down, was my favorite thing about having Alexa in our house. Ordinarily, we play iTunes radio through our Apple TV. This, of course, involves the small hassle of grabbing the remote, typing in what you want to hear, and pressing play. If you want to skip a song or change the channel, you're reaching for that remote again. The Echo was life-changing in this department. While getting dressed in the morning, I'd simply ask Alexa to put on some Coldplay and boom — it was on. While the Prime Music library is, admittedly, a bit limited (when I requested The Staves or Beirut, for instance, it came up empty), the selection is more than decent. And the voice command is just oh, so nice. While washing the dishes, I used my voice to switch from music to my favorite podcast, all without stepping away from the sink. The Echo is also complete with streaming radio. I'll warn you, though: My 4- and 6-year-old daughters loved this just as much as I did, which translated to them blasting Katy Perry without permission pretty much constantly. More than once I had to hit the mute button so that my kids couldn't use it. Music aside, Alexa has some other pretty cool perks. If you type a destination into the app, she'll tell you the current traffic conditions. In addition to the obvious stuff, she also spouts off news briefs from NPR via TuneIn. The morning after I fell asleep during the Academy Awards, she told me that Leo had indeed snagged the Oscar. Everything from movie times to nearby restaurants are all instantly available. for me to look it up on my phone." This brings up another plus of the Echo. 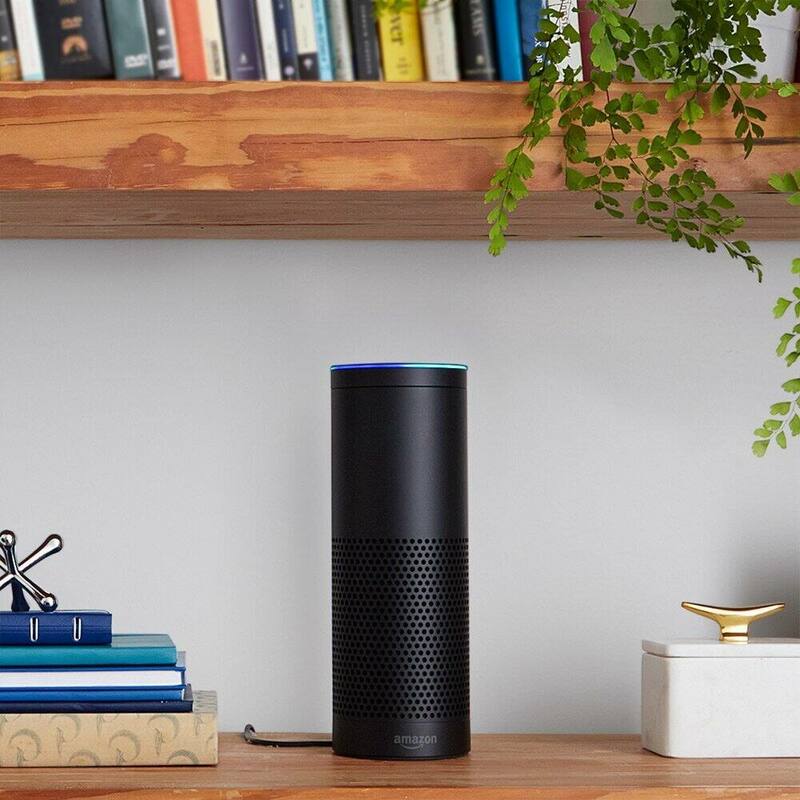 While Siri can perform similar tasks, Alexa can perform the same tasks without you having to pull out your phone. Plus, as mentioned above, the sound quality if better than on your phone. Amazon also now has Spotify integration, which is pretty cool for music lovers. Pandora and iHeartRadio are also at your fingertips. Book worms might also be interested to know that Alexa will read audio books via Audible or Kindle Unlimited. My kids definitely got the biggest kick out of asking Alexa to tell them jokes. They also asked her an endless array of questions, from "How many teeth do dogs have?" to "How far away is the moon?" She answered them all without missing a beat. Finally, within the app, you'll find an option to enable different skills. We tried one called MemoryChallenge, which basically translates to Alexa saying a series of words and you trying to accurately repeat them back. There are literally pages upon pages of random games like this that you can enable or disable at any time. For those who frequently shop on Amazon, you can configure the Echo to make voice purchases from your account. So buying shampoo can be as simple as telling Alexa to order it. Amazon has also teamed up with a service called If This Then That (IFTTT). As Wired points out, the partnership allows for "cross-app cause and effect." This is what allows for Alexa to find your phone or turn on your TV. Plus, if you have smart lights in your house, Alexa can turn those on and off for you as well. It's like a much classier version of the Clapper. After trying out the Echo first hand, I'd be lying if I said I didn't love it. Is it something every household needs? No, not by a long shot, but it is a really cool gadget. However, the $180 price tag could definitely be a stumbling block for some. A good time to buy on is during Prime Day or Black Friday/Cyber Monday, when prices have dropped to $140. Or look for a refurbished one, which can be bought for $119 when in stock. Amazon is also creating a lot of buzz with the Echo Dot: A teeny, Alexa-operated virtual assistant that can hook up to an external speaker for better music quality. Coming in at just under $50, the Dot is becoming increasingly popular and you can buy several of them to be placed in different rooms if you want Alexa to hear you from more areas of your home. 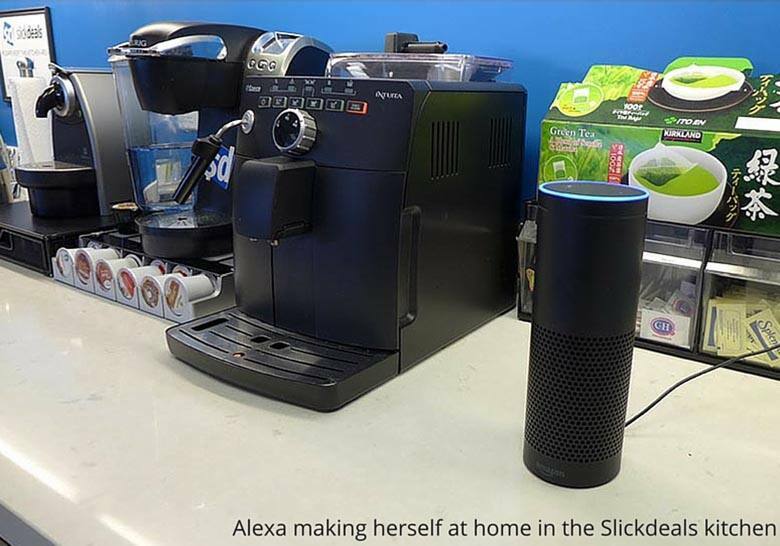 We polled some Slickdeals staff members who either own or have tried out the Amazon Echo to see what they think. "As a hands-free timer and alarm, the Echo is worth its weight in gold. It makes baking so much easier, and I even set it for the kids when it's time to put the shoes and jackets on to go to the bus in the morning." -- daisybeetle, Slickdeals Deal Editor. Listening to music I uploaded to Amazon Prime Music ($24.99 per year, 250,000 songs). Measuring conversions, Ounces to Cups, Tablespoons to Cups, etc. Weather: I love being able to have instant weather updates when I need them. Amazon Echo has many jokes, although mostly silly and elementary. Timer: It's very useful when cooking or when you need a reminder/alert. Sports updates: It's very helpful when we are watching a movie rather than the game. You can only choose the “wake­ word” Alexa or Amazon. Amazon Music storage is $24.99, which is inexpensive but I feel it should have been included. Sometimes it doesn't understand my voice, although there is a voice training app. Being from Boston, I do have a strong accent. Being a Slickdealer, there is no way to use a coupon code or get the best price if you try to use it for ordering products. So I have that feature turned off. "The thing that stood out to me the most with the Amazon Echo after testing it out for a weekend was the sound quality of the speaker. I didn't expect it to be that good in that department. 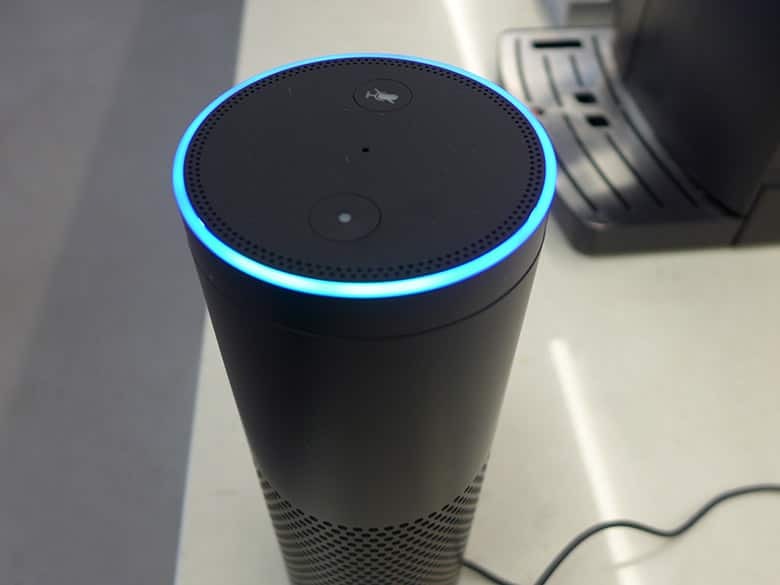 I liked being able to just say "Alexa, play the news" when I walked in the kitchen in the morning and it starts playing NPR News. Using Spotify was pretty neat, too, but I couldn't figure out how to skip ahead several songs when playing a playlist. I ended up doing it one song at a time, which became very repetitive. @slickdeals Have one, love it. But I wouldn't mind another one. @slickdeals Love it, especially with Hue lights. @slickdeals should have picked up one at pre release when I had the chance!! @slickdeals Just got one today and I love it so far. Images courtesy of Johan Mengesha, Marianne Hayes, Amazon.